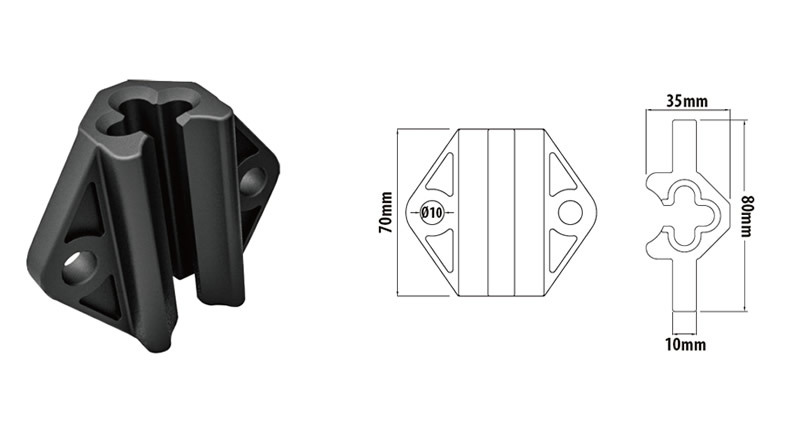 The chain slider is designed for cable management in entertainment rigging system. It is made in one piece with two fixing points for cable such as power, control, data or audio cables to get attached. Put several units on the chain in the electric chain hoist before applying the load, and while chain hoist is in operation the chain slider makes the cables neatly organized and well in position with up and down movement. No tool is required whilst putting chain slider in the chain. This chain slider cannot be attached or detached while the chain is under load. - Made of sturdy and low friction black POM. 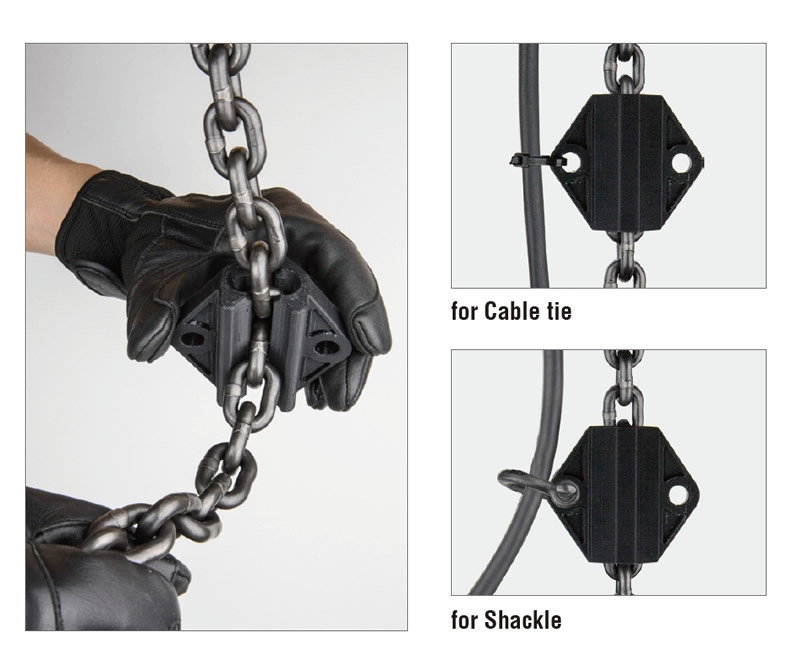 - Quick and tool-free attachment with chain, without removing the hook. 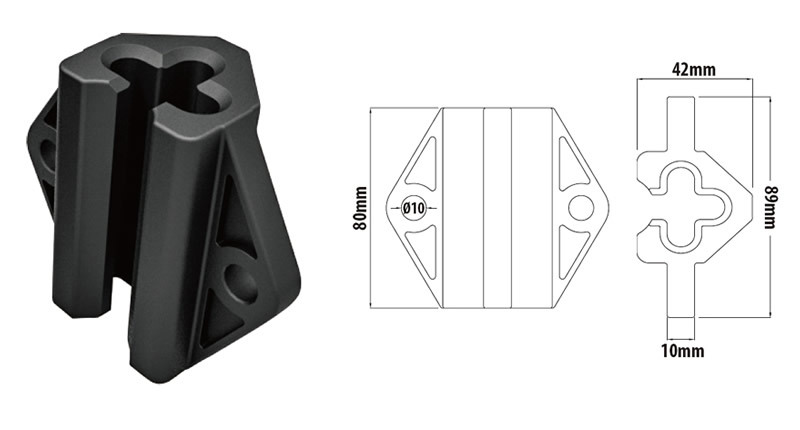 - Two fixing points (10mm hole) for shackle or cable tie to use. - Available in two sizes and suitable for wide range of entertainment rigging chain hoists.